CR2 is a RAW image format used by many popular Canon digital cameras, such as, EOS 300D, EOS 350D, EOS 400D, and more. When you capture images using Canon digital camera then these all images are saved in memory card in .cr2 file format. Many photographers prefer the CR2 as the format of their output pictures to get high definition digital images. However, it is highly possible that they will encounter data loss in Canon digital cameras. Did you lost CR2 file on your Canon digital camera and wonder what program should retrieve it? Well, the easiest way to retrieve lost CR2 files is to connect the Canon camera to computer and let Canon Photo Recovery to help you. This program offers you the chance to recover CR2 photos from Canon camera easily. 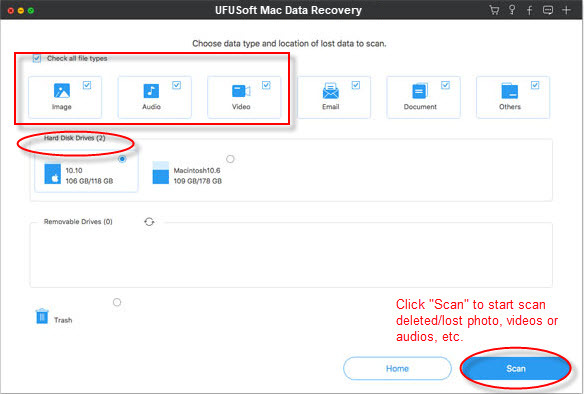 Plus, UFUSoft Canon Photo Recovery for Mac is also available. Just choose the right version according to your operating system. How to Recover Deleted/Lost CR2 files with CR2 RAW image recovery? Warning: Before performing CR2 RAW image recovery, you’d better immediately stop using your Canon digital camera to take any pictures. Any new pictures will overwrite the lost CR2 image files and make them unrecoverable. 1. 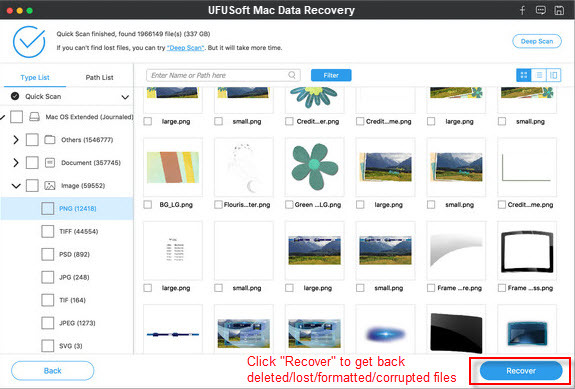 Install and run UFUSoft CR2 Photo Recovery software. Click “Recover Photo, Audio & Video” and then select the Canon digital camera from the drive list. 2. Click “Scan” and choose the CR2 RAW image files you want to recover in the file list tab. 3. After scanning, the scanned CR2 files will be listed by category. You can preview them and select those you want to get back and click “Recover”. Having Problems Opening or Using the Recovered CR2 RAW image File? Sometimes, when you try to open those recovered CR2 images then some error message comes on the computer screen, such as, unrecognized file format, etc. No panic. It is because that your CR2 RAW image files have been damaged or corrupted. Now you can repair the damaged CR2 files using File Repair software. This program supports all type of RAW image files and repairs CR2 RAW image files in a quick solution.